At the new mansion home of Freak Force, Rapture goes to answer the front door and is shocked by the sight of the Frightening Force. The villains burst into the building and attack, with Rapture screaming out for help. Horridus leaps onto Chelsea Nirvana but is thrown loose when the Inhabiter comes to his girlfriend’s aid. He then turns his attention to SuperPatriot and Star, knocking them down with a giant punch created out of the ground. Ricochet bounces over the heat blasts of Inferno but is intercepted mid-air by Fever who punches her away. Barbaric panics over the state of his girlfriend and their unborn child, leaving him distracted and an easy target for Bludgeon. Mighty Man confronts the behemoth but Star ends up accidentally firing shuriken throwing stars into his teammate. This distraction allows Bludgeon to defeat the World’s Mightiest Man before Star is knocked out of the building by Fever. As the fight rages on the house begins to weaken and when Barbaric collapses the building it buries the Frightening Force under the rubble. 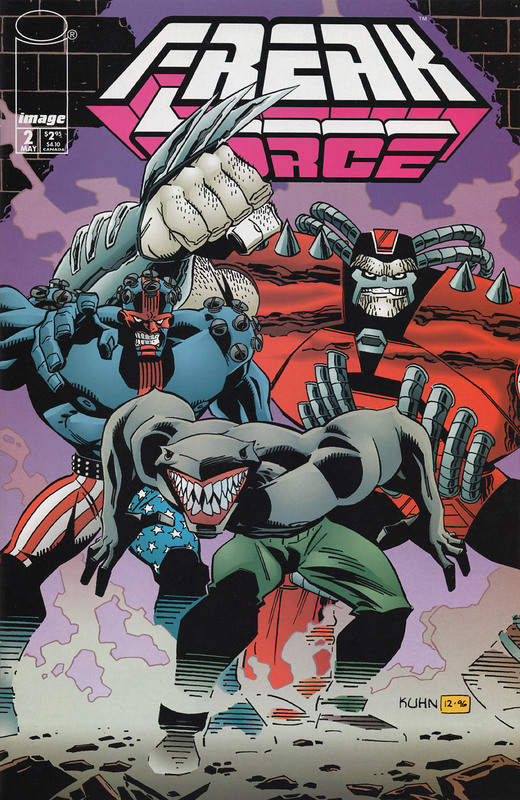 Freak Force makes their retreat at the expense of their new headquarters but Star leads them to the home of Peter Klaptin. Ricochet confronts her boyfriend regarding his overreaction to any potential harm to her. The team settle down to relax in their temporary home to recover from their battle. The media reports on Freak Force’s clash with the Frightening Force and a bulletin is watched by Dart whilst on vacation with Justice. She fears that her friends are needlessly endangering themselves with this alliance with Star and Peter Klaptin. Dart is also low on confidence regarding her own participation with Freak Force. The increasing threat that super-freaks are posing makes her believe that her fighting skills and projectiles are no match for these villains.